I am going to touch on the personal training industry from a business standpoint that is growing by leaps and bounds and the survivors will have a professional website and an awesome web presence along with a powerful digital marketing strategy or be left in the dust trailing behind the competition that they were once ahead of. 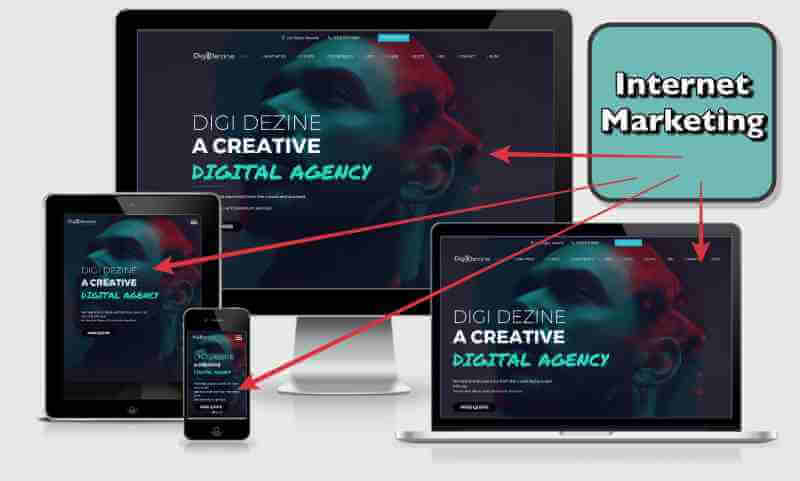 Personal Trainer Internet Marketing by Digi Dezine Web Design Company. Most personal trainers use social media to gain new business by posting repetitive information on Instagram looking for new followers and likes. Their postings are geared more towards attempting to sell their service as opposed to sharing knowledge and giving the user a reason to follow them. Unfortunately, the success of gaining new business from Instagram or FACEBOOK is almost a 100% failure. Social media is a venue to have a presence, but a business needs a professional website to direct users to and capture their interest with great content, testimonials, videos, and images. Competition is very stiff in all business and personal training is a very competitive business. Most of my new business comes straight from Google search. Bing and Yahoo have a very small market of the internet viewers in general. If you think about how you search for a product or a service, Google is usually where you go to first. Some use Yelp when searching for restaurants, but Google is king and looks like they will be for a long time. A user’s first impression of what your business represents can be an instant turn off no matter how good the service or product is by having an unprofessional website that the trainer built themselves on a drag and drop platform with no SEO (search engine optimization). Most users will click off an unprofessional website within 15 seconds if the website is not appealing or designed to keep them engaged. Personal trainers can be good at what they do, but be a dinosaur in internet marketing. When I say internet marketing, I do not mean just posting what you do on social media with a discounted price or what you feel is a special offer. Internet marketing is a science and one that most are not willing to put in the thousands of hours required to learn it. Even if a personal trainers business is doing well without a professional website, we are living in a very fast changing world and representing your business in the world of digital marketing is something all business will have to have to survive. At some point, your competition will figure it out and just out of sheer survival will invest in a website and marketing campaign. There are some reading this in the business and thinking that their business is doing fine and their website that looks appealing only to them is good enough. If they think with that mindset it is just a matter of time to wake up or crash. The internet and digital marketing is the best and still most cost effective way to advertise. Many years ago people had to run $1,000.00 ads in the yellow pages to gain any new business without reaching nearly as many people as the world wide web. In closing, if my competition does not realize that marketing properly and professionally is not necessary, I can only thank them for sending the new business my way and the other professional trainers in the industry.